KASI is located in the North of Daejon. 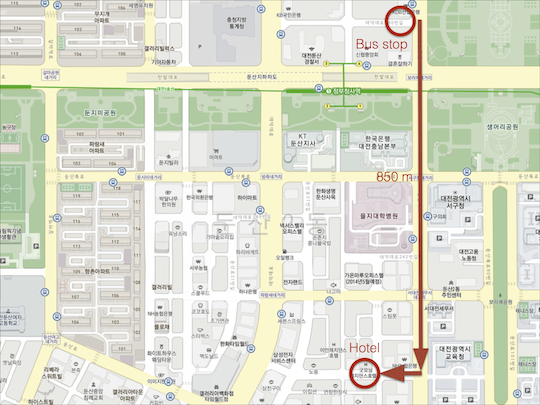 The hotel is located near the Government Complex (see map). There are two international airports: Gimpo and Incheon. We recommend taking the express bus from the airport to Daejeon Cheongsa (Government Complex) Please check the schedule on the pdf file. 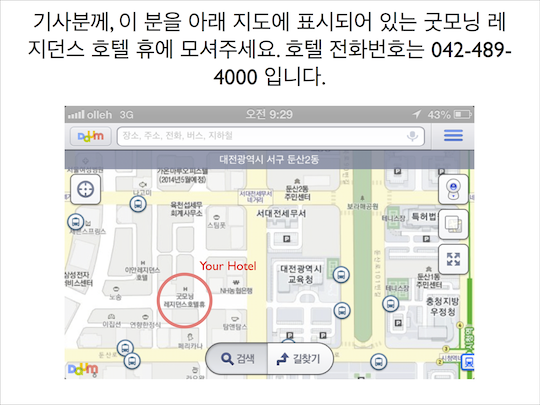 There are two ways to get from Gimpo airport to Daejeon. Bus: There are 3 bus per day. More information here. KTX (fast train): Take the Airport line to Seoul Station, then the KTX to Daejeon Station.